Literally, there is not a single bad painting, now you understand my analogy of going to a restaurant and wanting to eat everything at once. 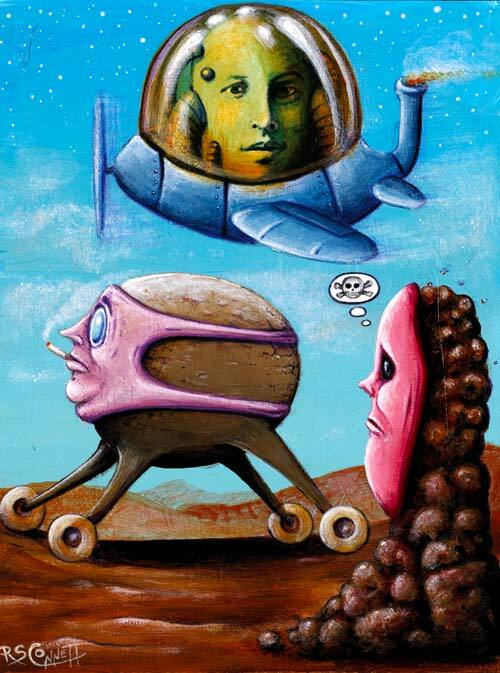 Robert Steven Connett is an Artist | Professional | Traditional Artist his speciality is neo surrealistic Biomechanical art, Robert has been painting since his early teens and strives to discover his purpose in this life, his life consisted of various forms of drug use including Meth amphetamines and marijuana. After being kicked out from his house he lived in reno, Nevada where he worked as a waiter. There he had time to read and become educated he was heavily influenced by the books of Ray Kurzweil,Richard Dawkins (biologist). And what truly puts the icing on the cake for me, is the fact that he is 60 years of age, now thats badass. “I believe that the exponential evolution of science and technology, mainly robotics, genetics and nano technology, is going to change us forever” now thats an Apple fan. As you can tell his artwork drives heavily on the symbiotic relationship between man and machine, well we all know what ending Robert chose for Mass Effect 3. For those who loved that movie fear and loathing in Las Vegas, which is an absolute classic here is a painting inspired by it. 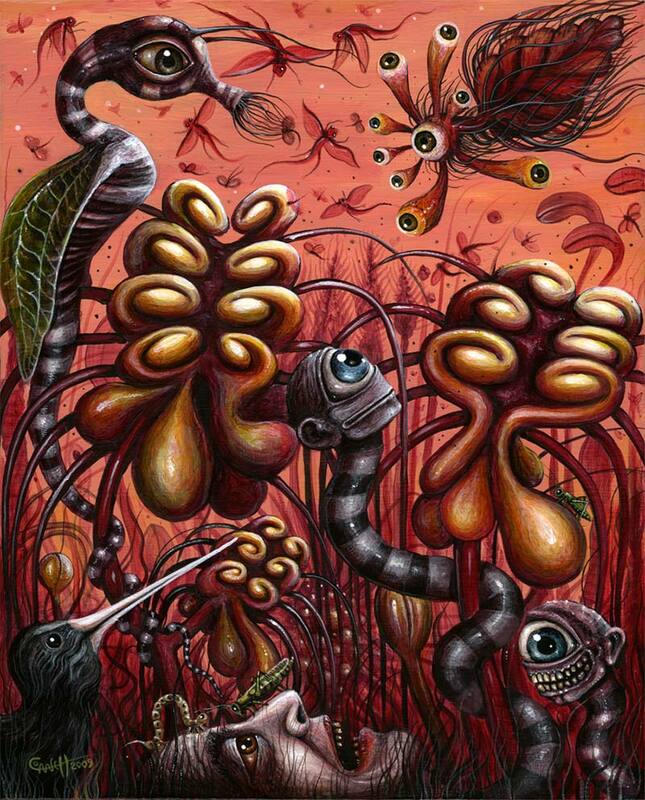 Robert Connett hands down is one of the most innovative artist in the underground scene, as a biology major I love the balance between naturalistic organics of the human essence and the merge almost endosymbiotic merge with machine. All metaphors for a not too distant future. Although dark, its not enough to scare you away but instead appreciate its complexity and beauty. He’s a real treat to the genre of surrealism and a great innovator of our time. 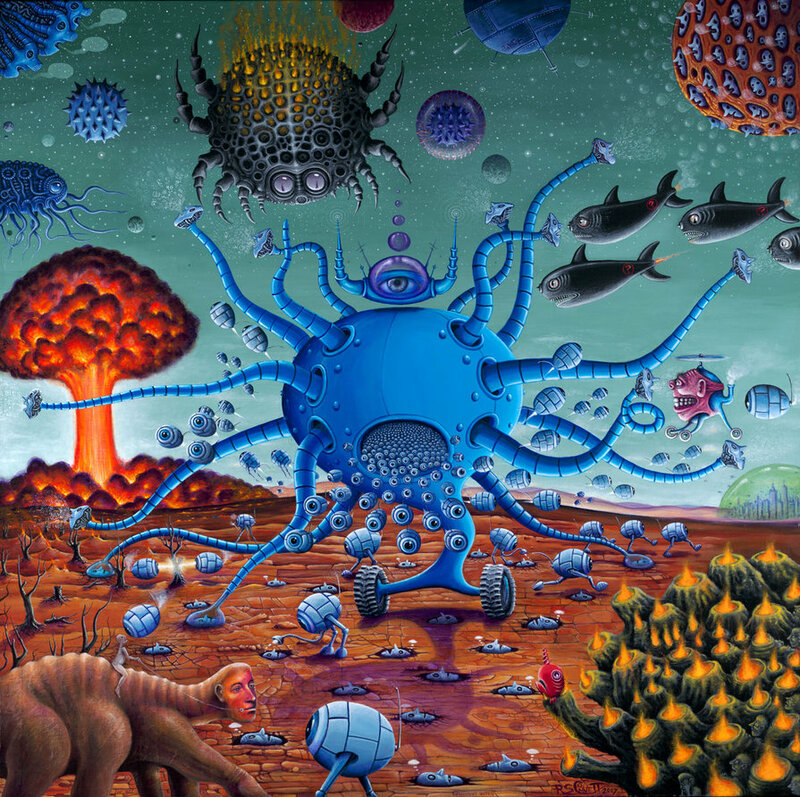 He goes down as one of my favorite artists of all time, with comparable standing to Alex Grey (Tool fans..im sure you agree). Thats right its a SOUL REAVER GAME…. back when Vampires burst into flames at the sight of sunlight, back before Elvis Presley hair dues and wimpy vampires that glistened in the sun came about…there was only one true vampire franchise to rule them all THE LEGACY OF KAIN…. TO BE CONTINUED… hear my analysis of the teaser this week.. This entry was posted on May 22, 2012 at 2:35 am and is filed under Art, Community, Fiction, Music., reviews. You can follow any responses to this entry through the RSS 2.0 feed. You can leave a response, or trackback from your own site. Thank you kitty! 🙂 Im glad that you enjoyed it! did you do the poll? 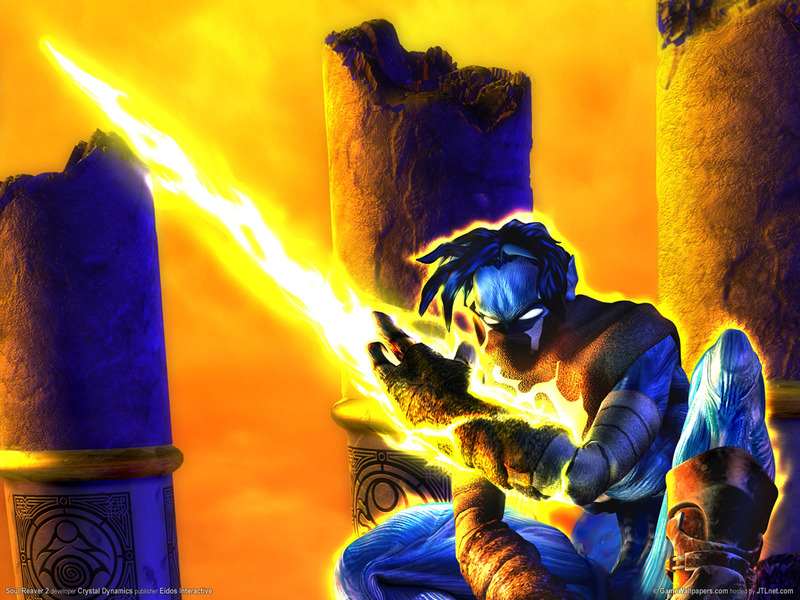 I wanna know if a lot of people know about soul reaver it has a great cult following so I think it would be cool to do a review on it. The poll.. no I’m cretin when it comes to vid games… the last game I played was …. smiley faces that ate dots……wurd out! I love your blog posts. They’re so real and down to earth lol. I look forward to seeing new artists each week!! This guy is crazy incredible!